Allhiphop.com is reporting that A Tribe Called Quest member Phife Dawg just received a much needed kidney transplant. The rapper has been suffering from ailing health and sparked discussion after his frail appearance at the VH1 Hip Honors. 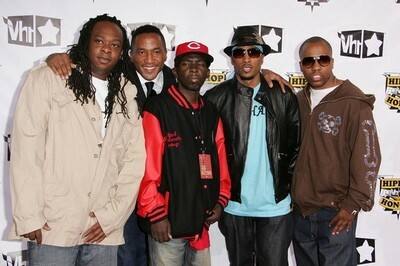 Honorees Jarobi White, Q-Tip, Phife Dawg, Ali Shaheed Muhammad and Consequence of A Tribe Called Quest attended the 4th Annual VH1 Hip Hop Honors ceremony at the Hammerstein Ballroom on October 4, 2007 in New York City. We wish to send our prayers out to Phife and hope he makes a speedy recovery. Phife Dawg’s long fight with diabetes recently took a new turn for the better, as the Queens native finally received a kidney transplant. The new kidney comes after a waiting period of over two years, which saw Phife endure problems performing live and a dramatic weight loss through his dialysis treatment. Originally diagnosed with diabetes in May of 1990, Phife admitted to not taking care of himself by eating the worst types of food for someone with his condition: fats, sweets, and alcohol. Bandmate Q-Tip, fast approaching the release of his second solo LP The Renaissance, was ecstatic to report to AllHipHop.com that Phife is already showing improvement right after the surgery.“He’s doing great!” Q-Tip exclaims. “He just had a successful kidney transplant so shouts out to Phife diggity dog! That’s my n***a right there.” The door is now open again for a possible Tribe Called Quest reunion, which Q-Tip has previously stated would be on hold until Phife’s health improved.